Manchester: The history of the quadruple in England is a short one. No one has achieved it, indifference to the League Cup being a frequent and early stumbling block, and the only two credible attempts have been Mancunian ones 10 years apart. Only one English team have won a true treble — defined as the domestic league, major cup competition and European Cup so as to be on an equal footing with all the other leagues — and though there have been lesser threesomes over the years a clean sweep of four trophies was more improbable scenario than realistic ambition until Manchester City began chipping away at everyone’s certainties. It is unusual to have a side in touch with the league leadership in April, through to the Champions League last eight and FA Cup last four with the League Cup in the bag, though it has happened once before. In 2009 Manchester United were in a similar position — in fact, with the Club World Cup there was the possibility of a five-trophy haul — yet when push came to shove and an FA Cup semi-final threatened to interfere with Champions League progress Sir Alex Ferguson blinked and prioritised the latter. 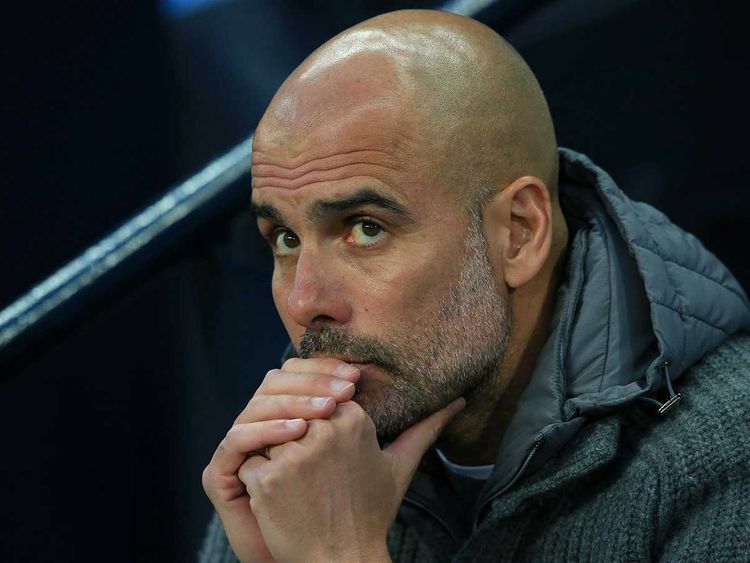 Unless and until Manchester City field a noticeably underpowered side against Brighton at Wembley on Saturday there is no reason to suspect Pep Guardiola intends following suit. Manchester City have won three titles since their Abu Dhabi makeover, although success under Roberto Mancini and Manuel Pellegrini did not lead to supremacy in Europe. Even Guardiola has found that difficult and City have yet to reach their first Champions League final, but the manager can no longer dismiss the possibility of winning all four trophies with a roll of the eyes. City have arrived, to use Guardiola’s expression for when opportunity presents itself. The quadruple is on, and with it the chance to eclipse what United achieved 20 years ago. That was hailed as a near miracle, yet the fact is that of eight true trebles since Celtic landed the first, four have been won in the last decade. The impossible is becoming more of an everyday reality, which is something for City to bear in mind as they close on the remaining targets. With three games in 12 days against Tottenham, and Liverpool still at large in Europe, there is no need to guard against complacency, and neither should Brighton be underestimated. Chris Hughton was on the coaching staff when Spurs prevented a Manchester United clean sweep in 1999 and Liverpool’s minor treble of 1984 might have been so much more but for a fourth-round FA Cup exit at Brighton’s Goldstone Ground. The Seagulls have already proved capable of dumping on quadruple dreams. City striker Sergio Aguero will travel with the rest of their squad for the semi-final having nearly recovered from a hamstring injury, Guardiola said on Friday. The Argentina international, who is the Premier League’s top scorer with 19 goals, missed City’s 2-0 victory over relegation-threatened Cardiff City on Wednesday and was a doubt for Saturday’s semi-final at Wembley. Stand-in left back Oleksandr Zinchenko has a hamstring injury and Guardiola is ready to draft Benjamin Mendy, who has been recovering from a knee injury, into the side for the first time Jan. 23 as a result. “Everybody has to help us, not just Mendy,” the manager added.